As everyone sits around and talks about the Marvel and DC Cinematic Universes, Fox is quietly doing its own very cool superhero stuff. 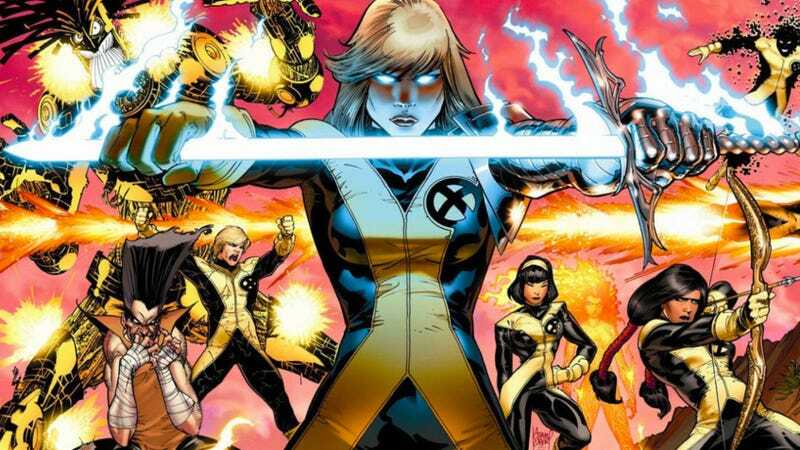 They’ve got Deadpool, X-Force, more X-Men movies but it seems like New Mutants may be the most surprising of the bunch. The Josh Boone directed film which stars Anya Taylor-Joy and Maisie Williams, among others, opens April 13, 2018. Filming just concluded and, until now, we haven’t heard much about the film outside of what we know from the comics and characters its based on. Now, the CEO of 20th Century Fox, Stacey Snider, has flipped those expectations on their head. That last sentence reads contradictory to the rest of the quote so I think Snider meant “We haven’t seen a superhero movie whose genre is more like ‘The Shining’ than ‘we’re teenagers let’s save the world.’” Which lines up more with her calling it a “haunted house” movie. And if that’s what she meant, it’s an exciting notion. We’ve seen some smaller, contained superhero movies in the past, but not with the Marvel stamp of approval or the budget of a Fox production. And the idea to introduce these characters in a small place that’ll really allow develop them sounds smart. It also allows plenty of room to expand out in sequels and spinoffs moving ahead. On the other hand, that’s a lot of influences Snider is citing: Breakfast Club, One Flew Over the Cuckoo’s Nest, The Shining, and haunted house stories. She’s an executive, of course, so hopefully she’s just trying to come up with a buzzy description of it rather than that Boone has actually created some sort of nightmare mosaic of superheroes, John Hughes and Stanley Kubrick. In the interview, Snider also admitted they may reboot Wolverine in the future, now that Hugh Jackman has hung up the claws. Which of course they would. Wolverine is far too important—and, more importantly, popular—for them to just leave him on the shelf for long. That’s just much less surprising than New Mutants being like The Shining.